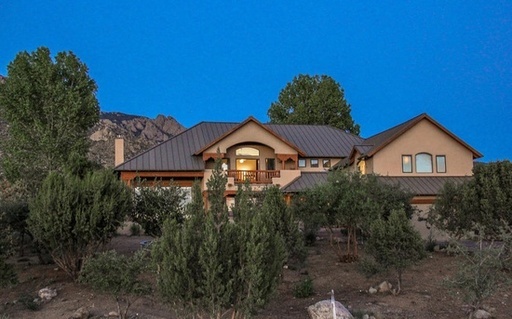 Mountain retreat nestled in the pines w/ stunning eastern views. The great room features double high 18 foot ceilings, red brick floors and a stone accented pellet stove to warm up those chilly nights. 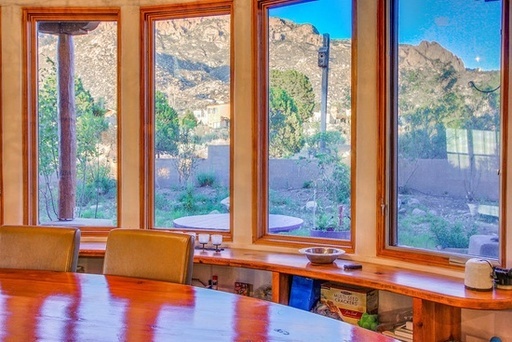 Light, bright kitchen & breakfast nook overlooks the the densely wooded lot with 2.5 private acres. 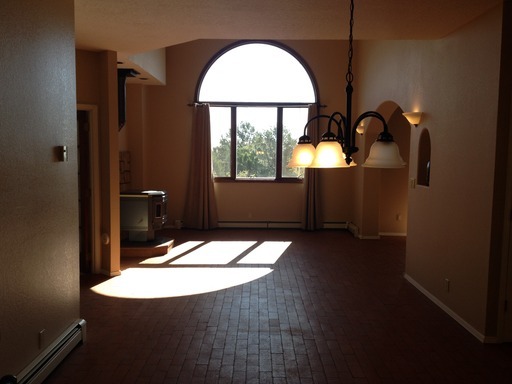 Two bedrooms w/ full bath upstairs & spacious master suite downstairs offers good separation & privacy. 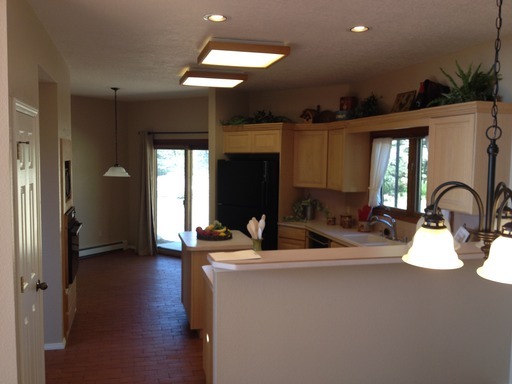 Huge utility room & oversized 2 car garage w/ extra storage space. 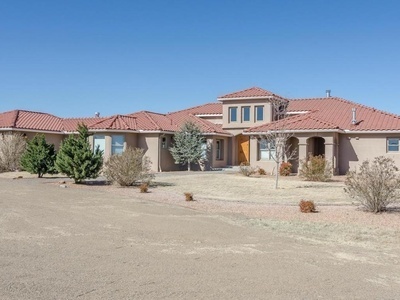 Custom built in 2000, this Northern New Mexico style house features the most breathtaking mountain and valley views in the Albuquerque. Premium stucco, metal roof and Pella windows. 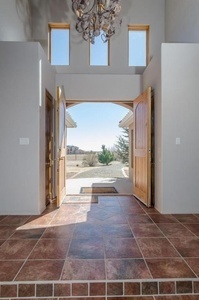 Natural wood trim and premium Santa Fe doors and hardware. Gourmet kitchen featuring a large center island with downdraft cooktop. Hanks House cherry and alder wood cabinets. Diamond plaster walls and plank and beam wood timer ceilings on the first floor. 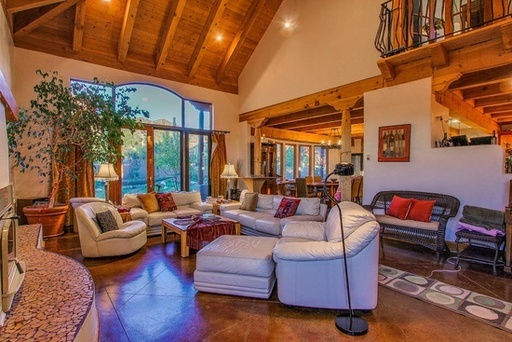 Living room with fireplace, huge windows and vaulted ceiling. Stained concrete floors with in floor radiant heat. Evap cooling has 4 high end units. Huge nearly finished 900 sq. 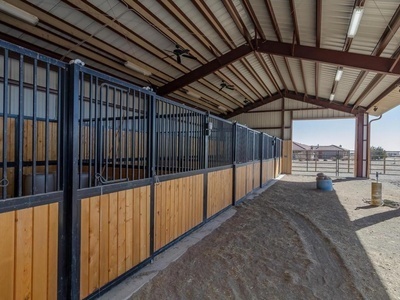 ft. basement with outdoor access and full bathroom. 4,400 finished sq. ft. on 1st and 2nd floors. Extra deep 2 car garage. 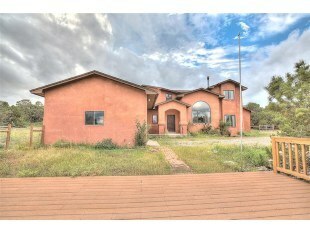 THIS HOUSE IS WELL BELOW MARKET BECAUSE IT IS PART OF A UNIQUE CARETAKER PROGRAM OFFERED BY HOMES IN TRANSITION!